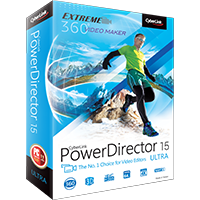 CyberLink PowerDirector 15 is the latest edition of this popular, feature-packed video editor. PowerDirector 15 Deluxe is the baseline edition. 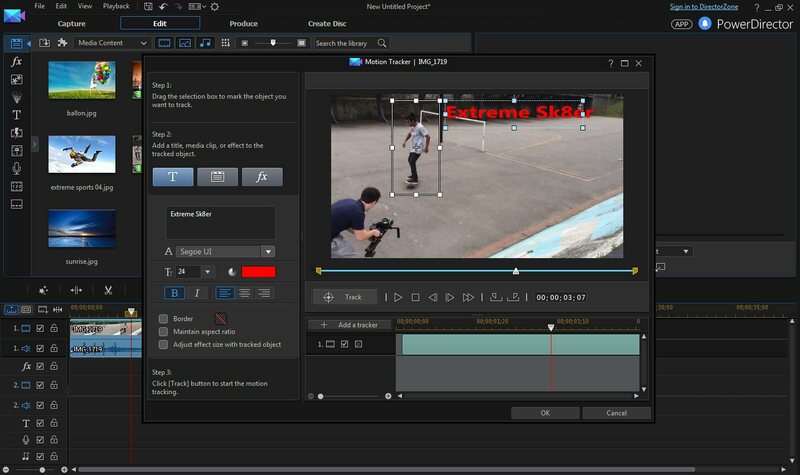 It includes the core features we've described here, but drops 360 degree video support, the Action Center, Motion Tracking, MultiCam and Transition designers, Blu-ray and AVCHD authoring, 120/ 240fps video production and CyberLink's cloud storage, along with some templates and effects. PowerDirector 15 Ultra is the edition we've described here. PowerDirector 15 Ultimate is the next step up, extending the program with more content packs and effects. But if you can afford it, PowerDirector Ultimate Suite has everything in PowerDirector Ultimate, adds the applications AudioDirector 7 and ColorDirector 5, includes CyberLink's Travel Pack 3 and NewBlue Video Essentials 5, and doubles your cloud storage to 50GB. You will receive the full build, with PowerDirector 15 Ultra content packs, Content Pack Essential and Content Pack Premium, after purchase. The download on this page is the trial version. You will receive the full build, with PowerDirector 15 Ultra content packs, Content Pack Essential and Content Pack Premium, after purchase.